Paul's Recycling Guide Australia 2018 - Everything You Need To Know & More! Recycling is the process of reusing materials and resources that would otherwise be thrown away as waste to slowly deteriorate with time. We all know that recycling has many benefits that are both economical and environmental yet we don’t truly know the value of recycling. Thus, we don’t see any immediate impact that the extra effort of recycling has. That is why this article exists to educate and inform you of what positive changes you can have as an individual. However, you should be aware that not all materials and resources can be recycled. We will take a look at common household items which can and cannot be recycled, and why later on in this article. Because we cannot recycle everything, we are required to sort out the recyclable from the non-recyclable items and handing it to a recycling centre where it is taken care of. It is this little extra effort that makes all the difference. We hope by the end of this article, you are more convinced to make a conscious effort to implement a recycling routine as a small part of your daily life. What are common recyclable items? 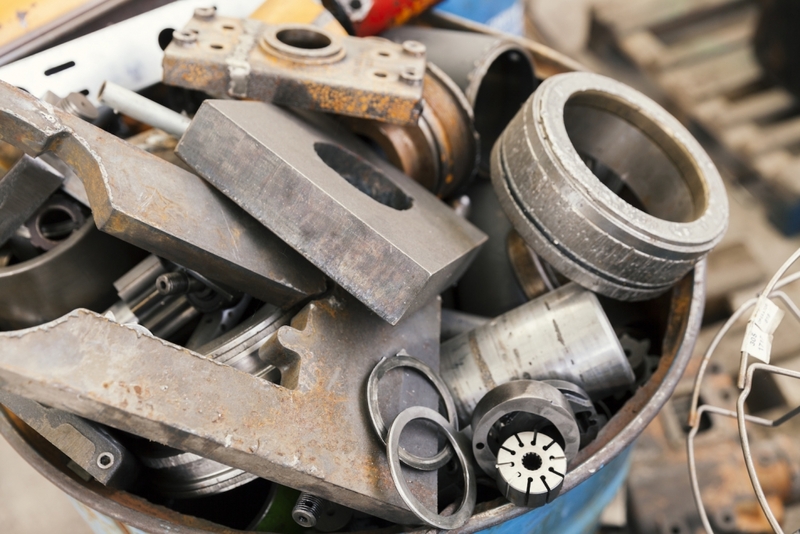 Did you know that almost all metals can be recycled? You are able to recycle your old bike, cast iron pots and pans, even your old refrigerator junk. Steel and aluminium can be recycled for an infinite number of times because it does not lose any quality when recycled. Aluminium foil and cans – Aluminium can and foil are very common in a household. They can easily be melted down to reproduce aluminium cans and foils. Steel and tin cans – Steel and tin cans such as tuna cans, coffee cans and aerosol cans can be recycled. You can visit the EPA website to find your nearest recycling centre. Paper can almost be found everywhere in our lives. In our home, office, work and schools. Unlike glass and metal, paper loses its quality each time it is recycled. The fibres are shortened and can be expected to recycle up to a maximum of 8 times. 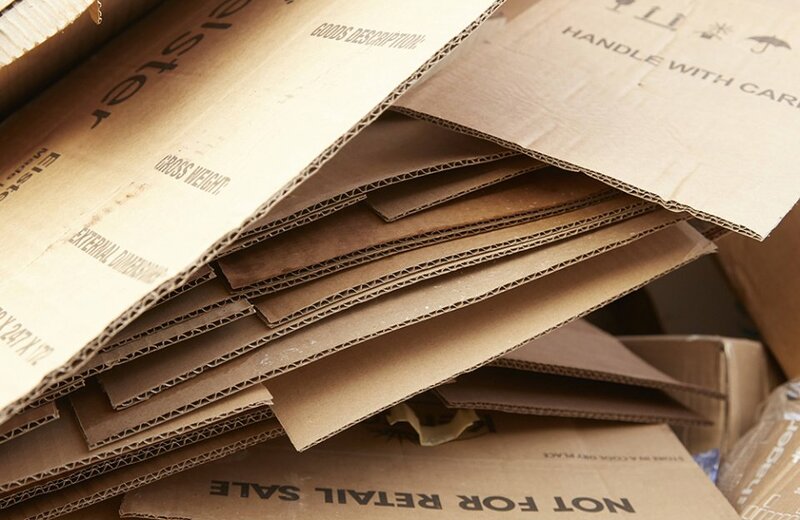 Cardboard boxes – Whether you are moving houses or using it for storage, cardboard boxes can be recycled to make printing paper, cereal boxes, tissue paper and poster board. Envelopes – The next time you receive a mail from a relative or friend, instead of tossing it into the rubbish bin, you can recycle it. Magazine and newspaper – More often than not when we finish reading a magazine or a newspaper, they become outdated and useless. Approximately 25% of our daily newspapers are recycled. Office paper – Clean Up Australia reported that in 2012-2013, Australians consumed 3,672,000 tonnes of paper with only 45% recycling rate. Telephone books – Does anyone still use telephone books? Yellow Pages, White Pages. If not, you should recycle them instead of tossing them out. They can be recycled into something more useful. Like steel and aluminium, you can recycle glass almost endlessly! However, they are can be more complex to recycle due to the various colours that they come in. Therefore they should be sorted according to their colours. 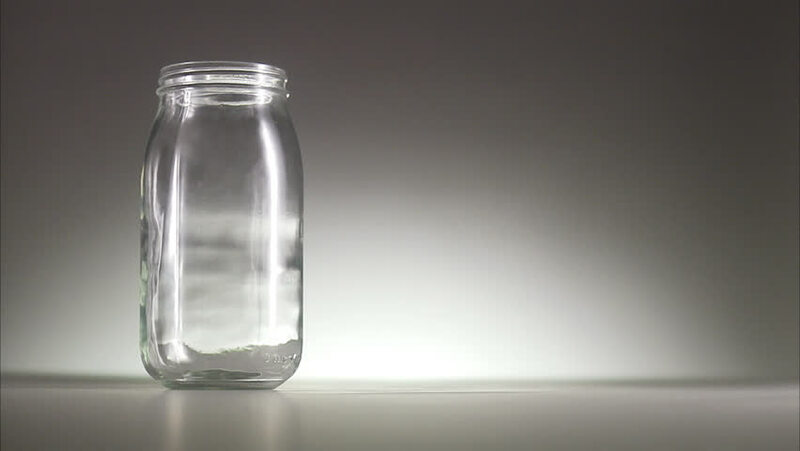 Flint glass – Flint glass simply refers to clear glass containers. They are commonly found in your pantry in the form of jars, bottles and food packaging. Amber glass – Amber glasses are more difficult to recycle due to the amber colour that the glass contains. It cannot be removed but instead, they can be recycled into other amber colour products. They come in the form of beer bottles, pharmaceuticals liquids and other ultraviolet light-sensitive liquid. Emerald glass – Much like amber glass, emerald glasses are used for liquids that are sensitive to ultraviolet light. However, to a lesser extent than amber glass bottles. Emerald glass is used for beverage bottles like Sprite and 7Up and for wine bottles. Did you know that it is possible to fully recycle all types of plastic? Like paper, plastic has fibres that shorten every time it is recycled. It is estimated that plastic can only be recycled 7 to 9 times before it cannot be recyclable. It takes much more electrical power to melt away plastic material in comparison to what it does to reuse it. If you happen to think about tossing plastic into an incinerator, think about delivering it to the recycling centre as a replacement. The plant may well be unable to reuse every bottle, but it’s genuinely worth your time and effort. However, due to the complexity of some plastic and the lack of technology, local Material Recovery Facility (MRF) will only accept some plastic types. That is why you should check the RIC (Resin Identification Code) on the plastic before disposing of it. 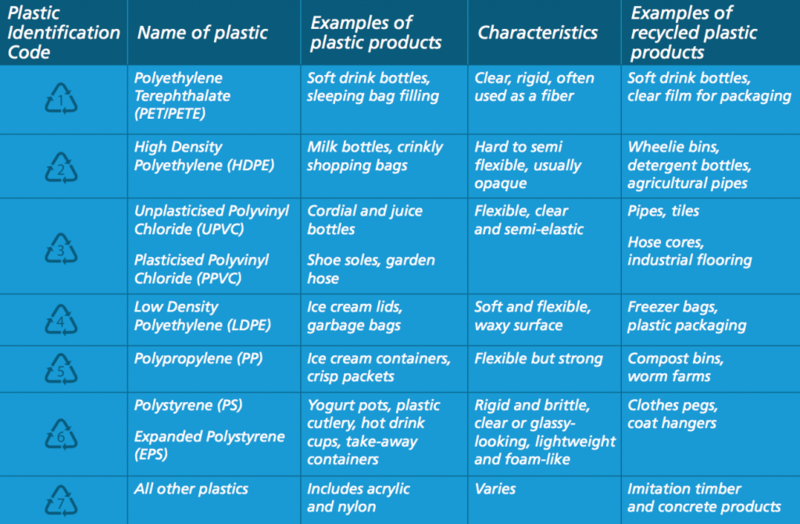 Here is a more comprehensive breakdown of the RIC on plastic products. What common household items can’t you recycle? You should be aware that there are some items that cannot be recycled. We will have a look at why in the next heading. If we could recycle everything then there wouldn’t be a reason for landfills to exist right? Polystyrene – Rigid polystyrene are much easier to recycle than expanded polystyrene which is also known as styrofoam. Paint – old paint often contains lead or mercury and cannot be recycled. Toxic chemicals – laboratory waste, inks, dyes, oil and other toxins. E-waste – batteries, mobile phones, televisions and other electronic waste. Soft plastic packaging – cling wrap, frozen vegetable bags, lolly wrappers. Certain paper products – Paper coffee cups are lined with polyethylene which cannot be recycled. Milk cartons and juice boxes can’t be recycled because other non-recyclable materials are mixed with it. Certain types of glass – Broken glass cannot be recycled because it is hard to tell what the source of the glass is when it’s broken. Why can’t you recycle everything? Recycling is not always the cheapest method except if you have the option to reuse them such as glass jars or drink containers.  Reusing, recycling and landfills have materials for which they are the least method of wasteful disposal. More complex plastics are currently difficult to recycle due to the fact that we do not have the technology to recycle such as styrofoam cups. Rubber tyres are another example. Once manufactured, it has gone through a chemical process that is nearly impossible to convert back. Sadly, that is why tyre graveyards exist. As technology advances in the near future, we will be able to sort and recycle waste more effectively that will definitely decrease the amount of waste in landfills. Reduce greenhouse gas emissions – By re-using our resources, it reduces the amount of pollution from factories needing to produce new materials. Little by little, this can have a significant impact on the long-term. 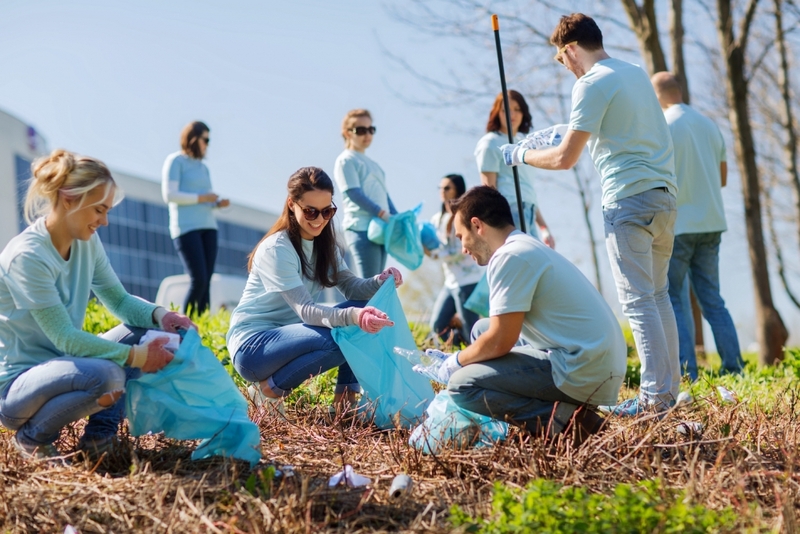 Keeping the Earth beautiful – Re-using items which can typically end up inside dumps is definitely a terrific way to help keep the environment clean. Can you imagine a future where the city is covered with landfill dump? Not very pleasant is it? Recycling can help us avoid a bleak future and protect the environment through a more natural process of life. Conserve natural resources – We are limited to a finite number of natural resources here on Earth. Once we run out of natural resources we must look for new ways to acquire resources beyond this planet. By using our waste in a creative way, we can minimise the number of natural resources we use to produce products every day. 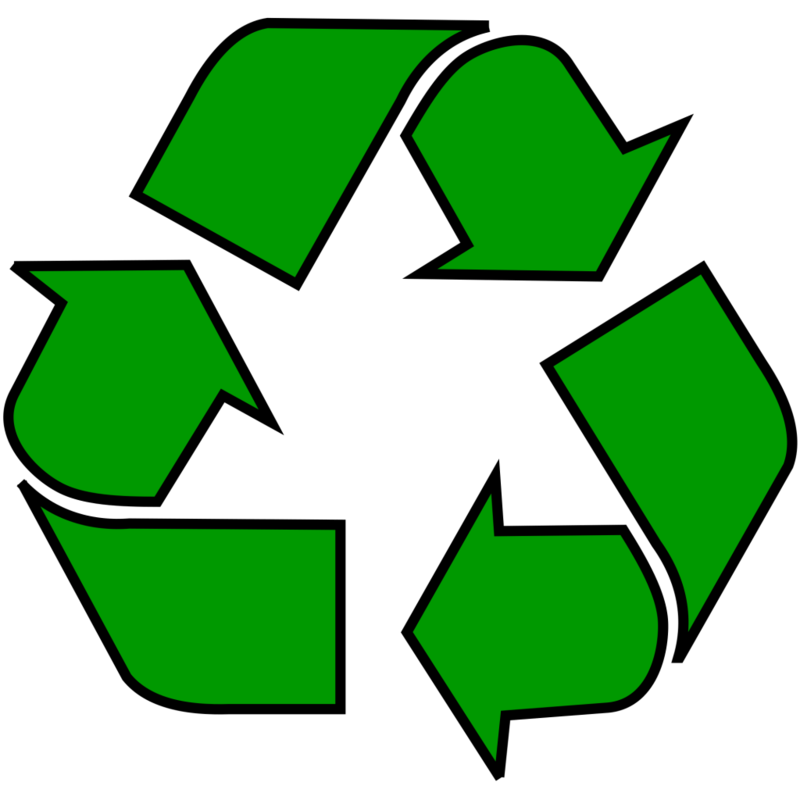 Saves money – It is obvious that we should recycle things that will otherwise cost a lot to produce as new. Why should you spend more money on recycling for something that you could buy brand new for cheaper right? Luckily for us, we are able to recycle products at a lower cost than creating new products. 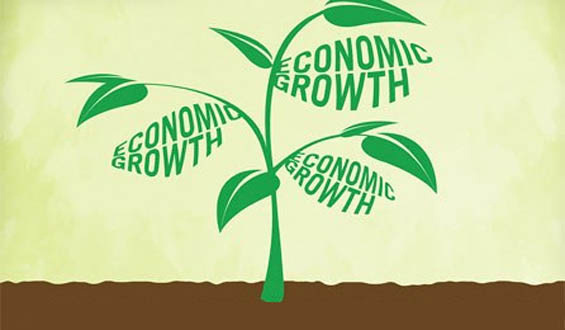 It also reduces the need for the economy to spend money on planting more forests and mining for more metal ores. 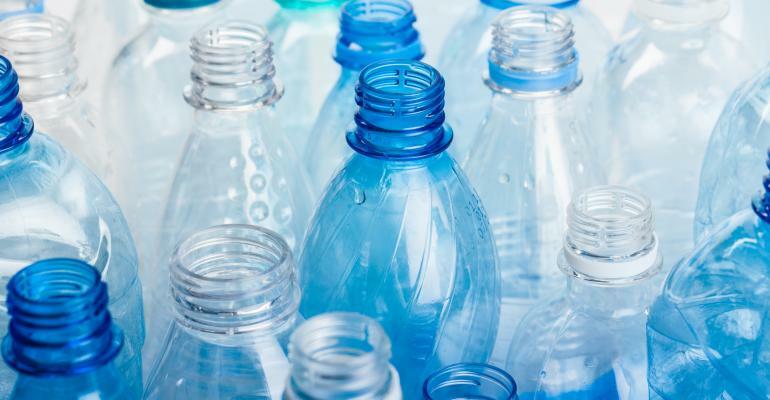 Cash benefits – A promising technology has been announced just a few weeks ago that could lend more motivation for us to recycle plastic waste. More than 500 recycling containers are scattered across New South Wales to encourage families to exchange their plastic, metal and glass bottles for cash. For example, each plastic bottle can be exchanged for 10 cents. More employment opportunities – One person’s waste can be used for something else. In turn, this creates green jobs as the waste is re-circulated instead of being disposed of after one-time use. Composting and recycling create more jobs than disposing do. For every job created in the waste management industry, recycling creates four. Depending on where you live and the recycling service that is offered in your area, recycling may or may not be appealing. For example, Europe has a more active recycling approach than America does. Europe doesn’t have space for massive landfills and must heavily regulate recycling. Supermarket giants in Australia such as Woolworths have announced their shift to removing plastic bags from their supermarkets. This means that recycling initiatives are really starting to shape up and pay attention. It is time for you to take the same actions to reap the massive benefits that recycling has to offer. The little bit of effort can go a long way to protecting the planet. It is much easier than ever to help the environment. Getting into a positive recycling habit can be as simple as starting at home. Sorting out your recyclable from your non-recyclable items will help drastically. With a little bit of help from the internet, you can find out how you can re-use and upcycle common household items. If you feel like you could do more, you can get involved with local recycling programs and start a local campaign to push for others to recycle as well. There is a greater chance of success by educating and informing the public about the tremendous benefits that recycling can have. 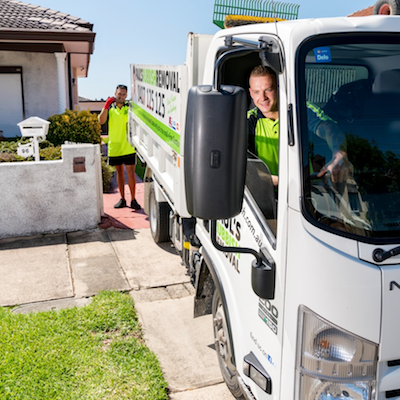 As a rubbish removal company in Sydney, we always try to do our part in helping to educate and inform. We encourage everyone to do the same. Spread the word to friends, families and colleagues. Together our small efforts combined will contribute to a cause much greater and larger than we can ever imagine.